Mesa County Commissioners honor Linda Dannenberger for her 29 years of commitment and dedicated service to the residents of Mesa County. Linda began her career with the Mesa County Planning Department on April 18, 1988, and has served with integrity and distinction. She exemplifies the values of Mesa County and is the epitome of caring and personal customer service.From left to right: Mesa County Commissioner Scott McInnis, Commissioner John Justman, Planning Division Director Linda Dannenberger and Commissioner Rose Pugliese. Commissioner John Justman, left, thanks Linda Dannenberger for her 29 years of service. Mesa County Planning Director Linda Dannenberger poses for the camera with her proclamation that describes her 29 years of exemplary service to Mesa County. Her last day with the county was Dec. 21, 2017. Congratulations on your retirement, Linda! Mesa County Fleet Supervisor Scott Forsgren is honored by the Board of County Commissioners for his commitment and dedication throughout his 44 years of employment. At Public Hearing on Monday, Road Supervisor Rudy Bevan speaks of the many experiences he and Scotty have shared over the years. Assistant Fleet Supervisor Eric Brown, another co-worker of Scott's, came to say a couple of kind words on behalf of his retirement of 44 years from Mesa County. There's nothing like a bond between a father and his daughter! Mesa County Senior Accountant Katherine Boozell speaks to the Board about her father's retirement from the county. 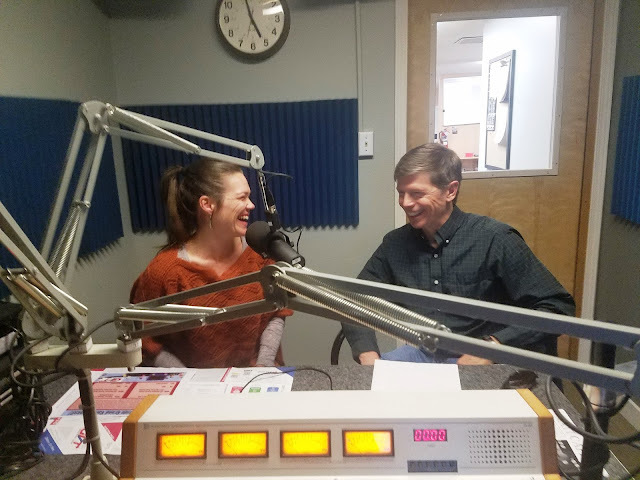 Katherine told many stories of her childhood and the time she spent at Mesa County Fleet Services on Saturdays with her dad. Many co-workers and friends stood up to congratulate Scott Forsgren as he was presented with a proclamation recognizing his years of service with Mesa County. Mesa County Fleet Supervisor Scott Forsgren's wife, Karen, left, and daughter, Mesa County Senior Accountant Katherine Boozell, right, stand alongside Forsgren as he accepts the proclamation presented by the Mesa County Commissioners honoring his commitment working for Mesa County for 44 years. Mesa County Commissioners John Justman, Rose Pugliese and Scott McInnis honor Scott Forsgren on an outstanding 44-year career with the Mesa County Fleet Department and wish him many years of happiness and success. Mesa County Commissioners recognize Public Health Executive Director Jeff Kuhr, center right, for being awarded the RMHP Bruce Wilson, M.D. Memorial Award last week. Commissioner Pugliese reads the award into the public hearing's official record Monday. Commissioners congratulate Jeff Kuhr for his commitment and dedication to the community. Scott Forsgren and Linda Dannenberger celebrate their retirement at Public Hearing Monday with proclamations in their honor. 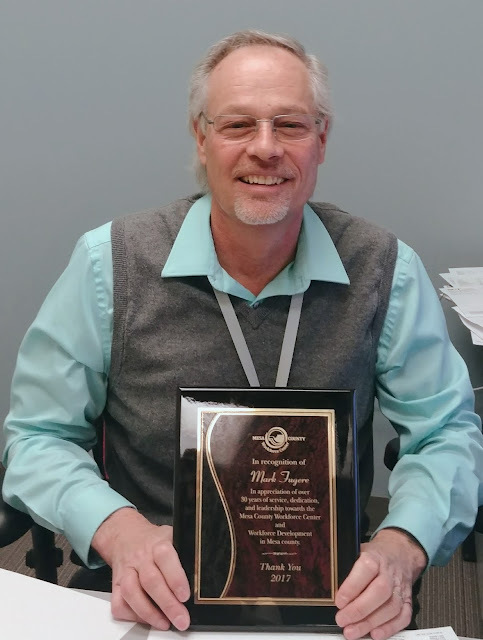 Mark Fugere Hilltop Director of Workforce Center Programs retires this week after more than 30 years of service to Mesa County citizens. 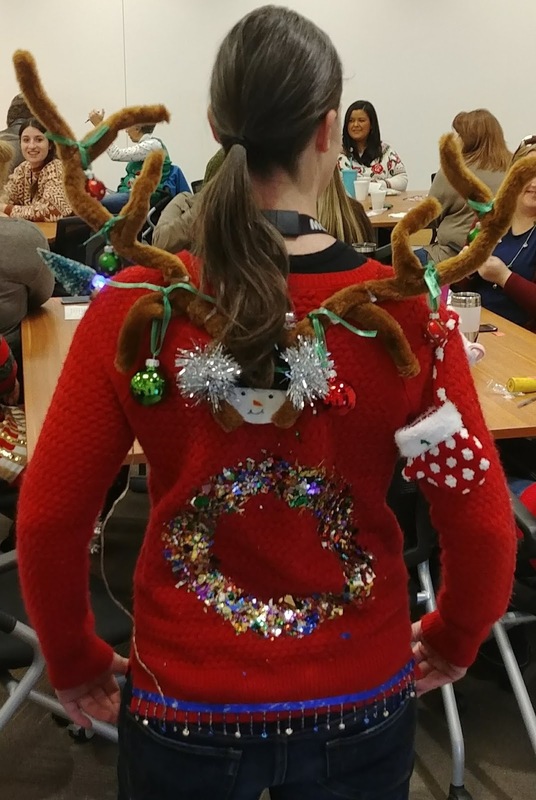 20 staff members from Department of Human Services, Workforce Center, and Public Health competed in an Ugly Sweater competition. 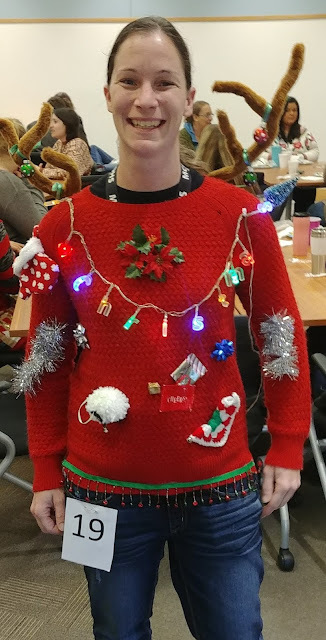 DHS Economic Assistance Specialist Jessie Ruggiero takes her ugly sweater to extremes. Jessie leaves no sweater surface unadorned. 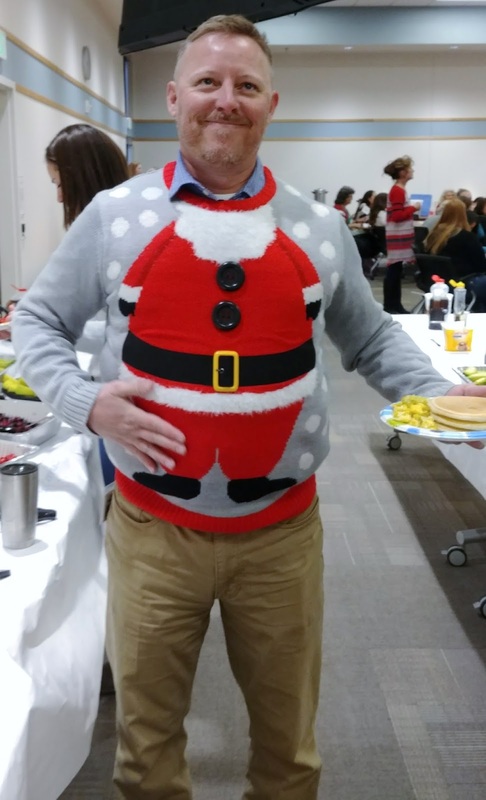 Public Health Promotion Specialist Troy Ward shows off his hungry Santa sweater. The MCPH Epidemiology Team takes a break from their morning meeting for a picture. The team monitors and investigates illnesses in Mesa County. 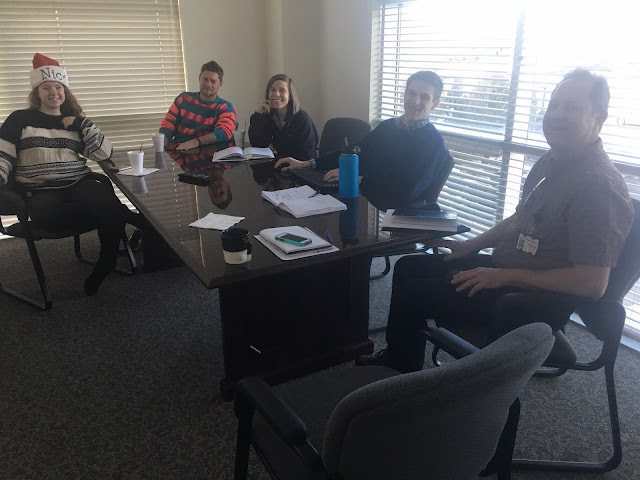 Left to right: Pediatric Nurse Consultant Heidi Belatti, Data Analyst Shane Chatfield, Program Manager Heidi Dragoo, Regional Epidemiologist Andy Tyler and Regional Epidemiologist Thomas Orr. Mesa County Assessor's Office donated their time collecting gifts for foster children in Mesa County. Currently, there are over 100 children in foster care in our county. Presents, presents, and more presents, oh boy! Holiday spirit you say!? 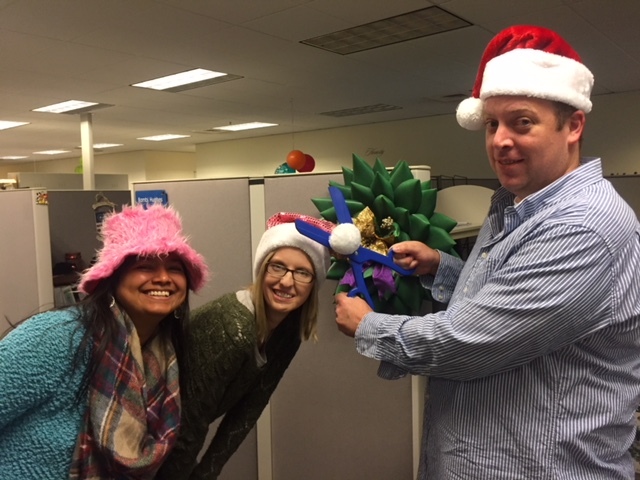 Mesa County Assessor's Office loves to spread holiday cheer! Mesa County Assessor's Office employees Administrative Coordinator Jessica Sander-Cederlof, left, and Assessment Analyst Kellie Nelson have worked extremely hard to make sure foster children in the county have a very Merry Christmas! Regional Transportation Planning Office staff members Elizabeth Collins, left, and Dean Bressler, right, stop by the KAFM radio station to talk to "Know your County" hosts Mesa County Public Information Officer Stephanie Reecy and co-host Noxious Weed and Pest Management Coordinator Teresa Nees about public transportation. 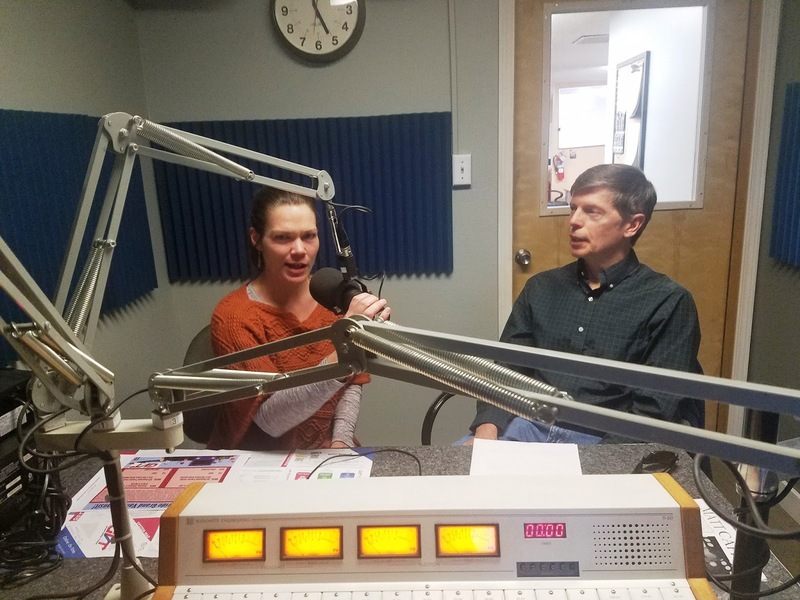 Senior Transportation Planner Elizabeth Collins and Senior Transportation Planner/Engineer Dean Bressler make discussing transportation planning fun! Mesa County Commissioner Scott McInnis helps out with physical labor. This is an example of the physical requirements that are outlined when you apply for a job with the county. According to County Commissioner Scott McInnis, a little "manual labor" is good for everyone! 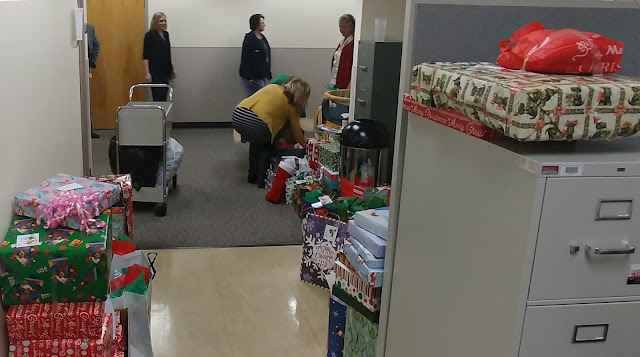 Presents from Mesa County employees are on their way to Department of Human Services for foster children in Mesa County. The presents are loaded and ready to head out to DHS! 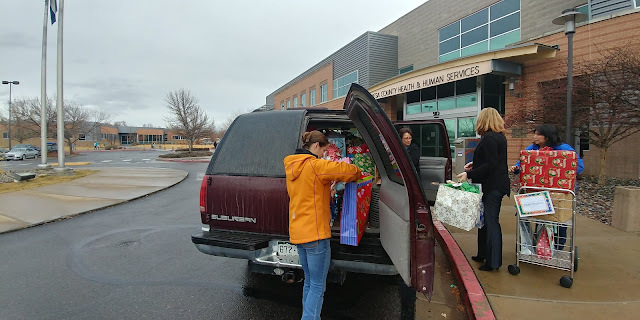 Gifts arrive at the Mesa County Community Services Building (CSB), 510 29 1/2 Road. 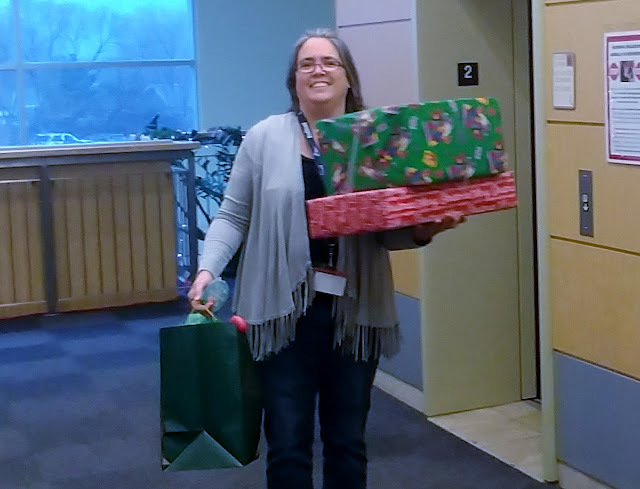 DHS Kinship Supervisor Laura Kinson helps out with the gift haul. Is there enough space for all the presents? 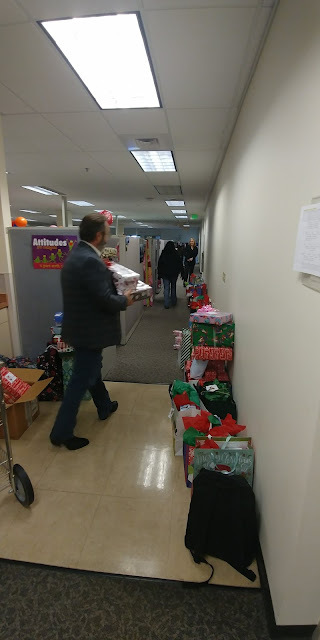 DHS Case Manager Jeff Sheley starts sorting through the gifts to get them to foster children around the valley. 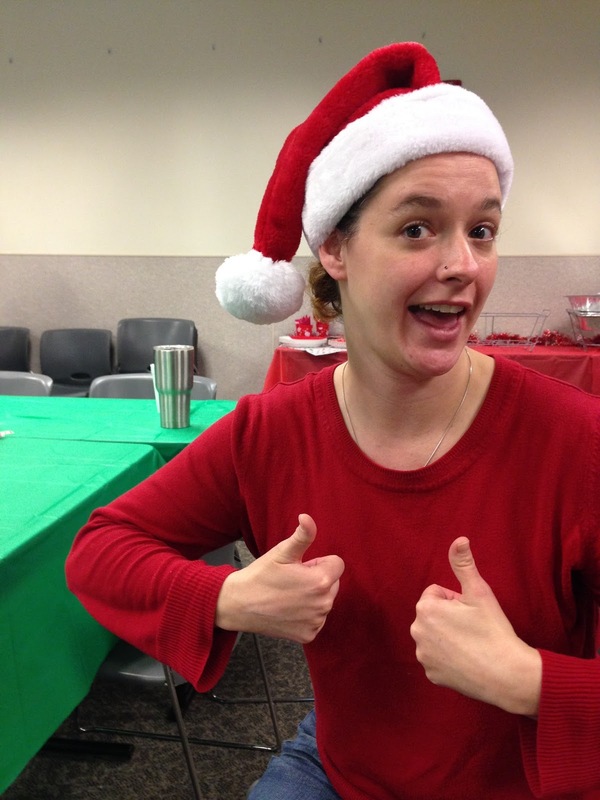 More Fun Bunch activities at CSB Festive Hat Day! From left to right: DHS Accounting Technician Dalys Otberg, left, Recovery Technician Amy Joy, Fraud Investigator Matt Furphy. 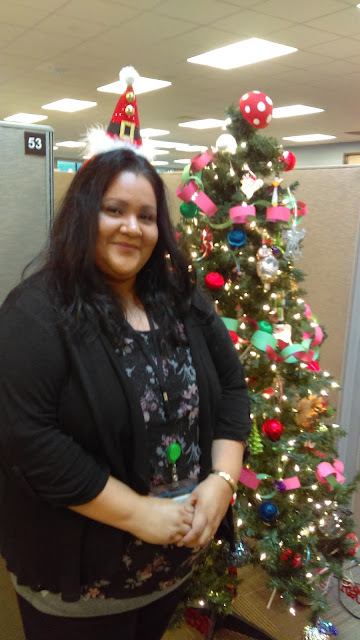 Mesa County Workforce Center Provider Specialist Erica Castillo is ready for the holidays! DHS Aging & Disability Resources of Colorado employee Renee Patterson. 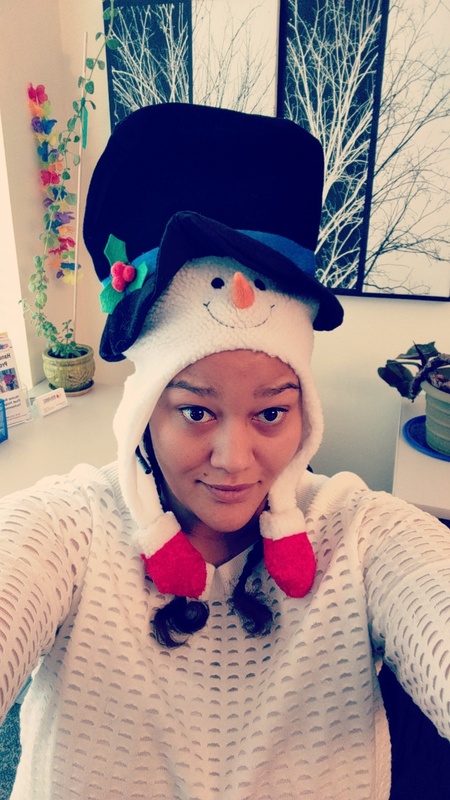 211's Shonté Felker wears a snowman hat on Festive Hat Day. 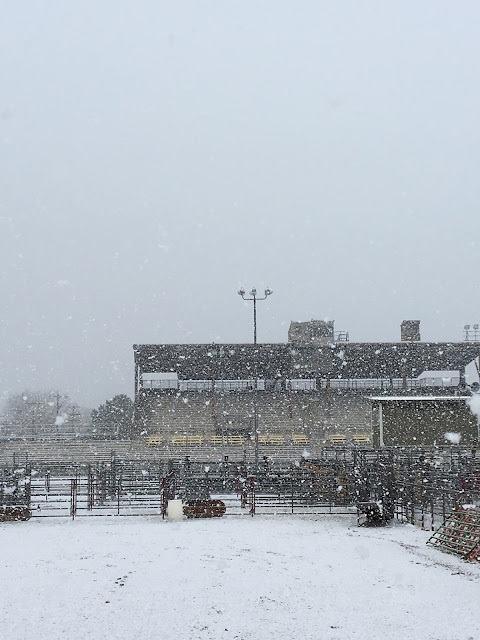 It was a winter wonderland Thursday morning at the Mesa County Fairgrounds, 2785 U.S. Highway 50, but it was short-lived. Within a couple hours the snow melted at the Mesa County Fairgrounds. It was as if nothing happened. 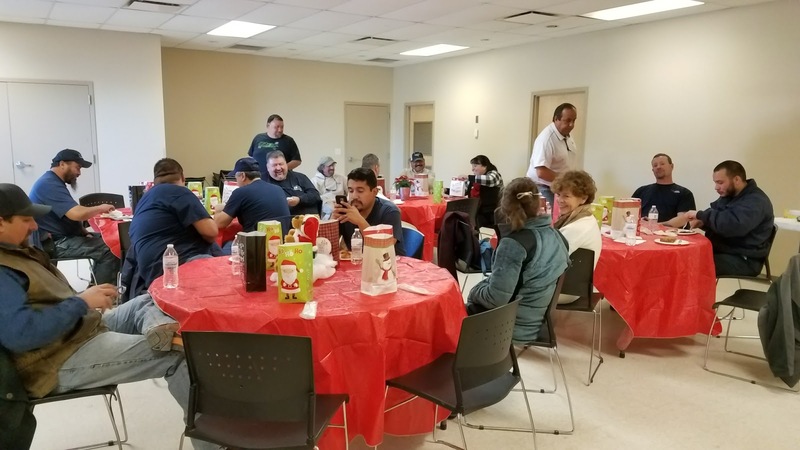 Facilities, Fairgrounds and Parks hosted a holiday luncheon Friday, December, 22nd in appreciation of all the hard work their employees put in this year. Maintenance Supervisor Federico Vargas, left, and Lead Maintenance Tech Dan Adams enjoy lunch and good company. 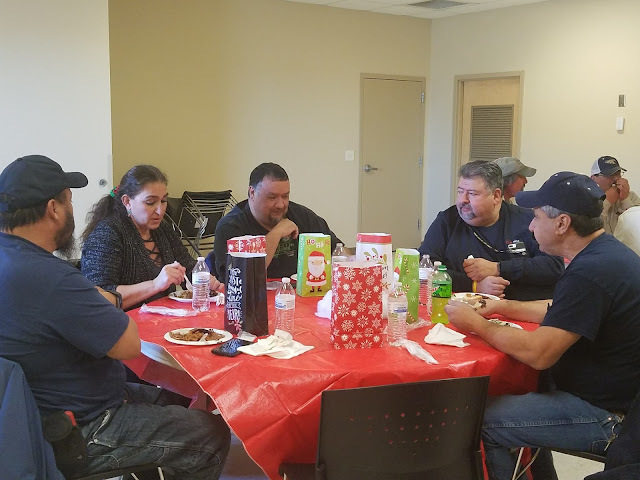 From left to right, Steve Medina, Linda Robinson, Tim Morfin, Federico Vargas, and Dan Adams. 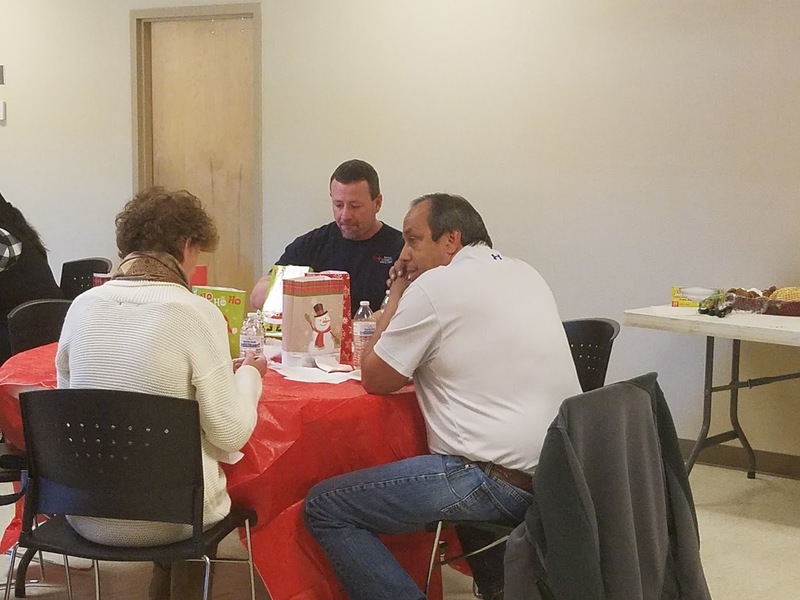 Administrative Manager Jean Davis, Maintenance Technician Kevin Eaton, and Facilities Director Greg Linza take a break from their crazy schedules to have lunch and reflect on a busy year! The Facilities Department maintains Mesa County's physical assets such as buildings, properties, equipment to ensure a safe working environment in a cost-effective manner for its employees and citizens. 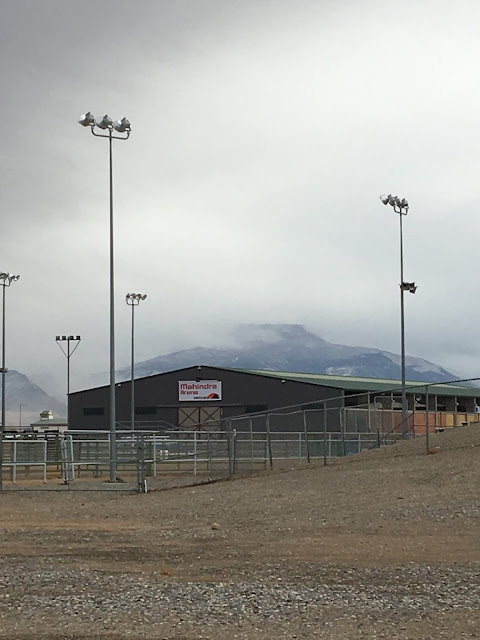 Fairgrounds maintains all of the property at the Fairgrounds and puts on several special events throughout the year, the biggest is the Mesa County Fair. The Parks Department protects and maintains Mesa County’s physical assets such as parks, landscapes, trails & open space properties to ensure a safe and clean environment in a cost-effective manner for Mesa County citizens. Thank you for all of your hard work! 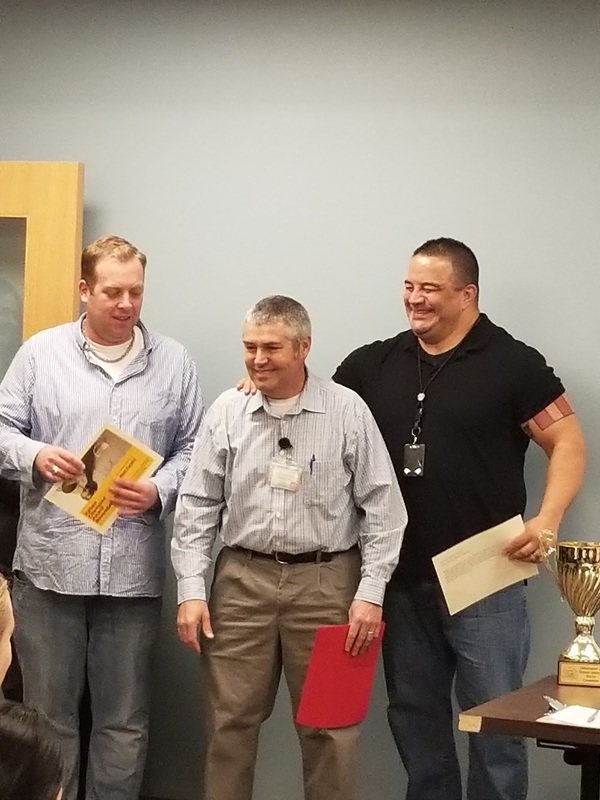 Matt Furphy, November's DHS Values Champion winner, left, DHS Director Tracey Garchar, center, and Miguel Navarro, Values Champion Nominee joke around at photo time. 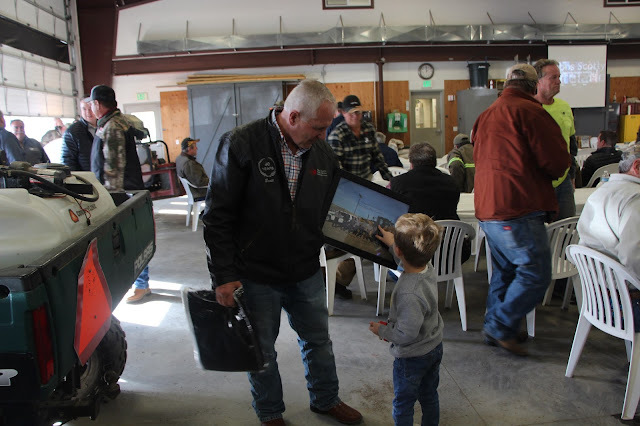 Mesa County Fleet Supervisor Scott Forsgren celebrates his retirement with his Mesa County friends and family after serving for 44 years. A Mesa County Sheriff's Office patrol car is in for service on one of Scott's retirement cakes. The Fleet Department services the Sheriff's Office vehicles so they are ready when they are needed. Mesa County Fleet's direct responsibility is to provide and maintain equipment and vehicle assets in support of the various services provided by Mesa County's Departments and Divisions. This includes all the heavy equipment used by the Road and Bridge Department, as demonstrated by one of his retirement cakes. Mesa County Senior Accountant Katherine Boozell made a cake to celebrate her dad's (Scott Forsgren) retirement. Mesa County Commissioner Scott McInnis congratulates Scott Forsgren at his retirement party hosted at the Road and Bridge Shop in Whitewater. Great turnout to celebrate the hard work and dedication of one of Mesa County's finest. Scott Forsgren: fearless leader, mentor and friend. Public Works Director Pete Baier congratulates and recognizes Scott Forsgren for his 44-year career with Mesa County. Darla Krummel presents an engraved clock to Scott so that he can remember his staff and the good times. 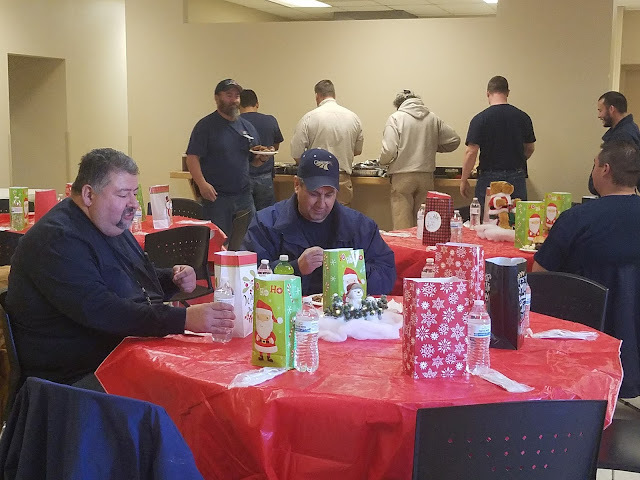 Scott Forsgren honored past and present co-workers for their hard work and determination over the years. Mesa County Risk Administrator Jean Boothe gifts Scott a blanket on behalf of Human Resources (HR). Scott stated he was grateful for the blanket because from this day forward when it snows at 3 a.m. and looks out the window he will think about the many staff that is out plowing roads, and he then will wrap himself in the blanket and will go back to bed. Recently retired Otis Darnell stops by to say a few kind words about Scotty. Everyone loves Scott, but his grandson is his biggest fan. Scott Forsgren and his grandson. Engineering Technician Lori Seeley, left, and Fleet Administrative Assistant Connie Phelps, right, dish homemade ice cream for everyone who came out to celebrate Scott. Darla Krummel, next to Connie, keeps everything organized and running smoothly. Mesa County Senior Accountant and Scott Forsgren's daughter, Katherine Boozell, celebrates her dad at his retirement party. At one point, all three of them (father, daughter and son) worked for Mesa County. Dan Caris, Development Services Manager, left, and Pete Baier Mesa County Public Works Director, celebrate Scott Forsgren at his retirement party. 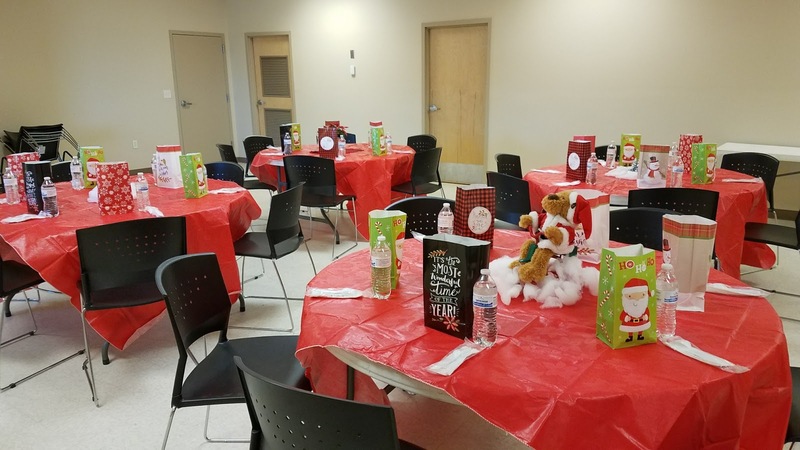 Mesa County Senior Human Resources Analyst Krista Ubersox and her dog, Lambeau, spread a little holiday cheer around Human Resources. Dec. 21, 2017, was Krista's last day at Mesa County, we wish you nothing but the best in your further endeavors!